In the late 1960s, Land Rover began testing what would become its most iconic vehicle: the Range Rover. Rather than sending a nameless prototype into the world, the British automaker dubbed its creation “Velar.” Derived from the Latin word “Velaris,” meaning hidden or disguised, the badge signified an important work in progress, perhaps the brand’s most important work — until now. 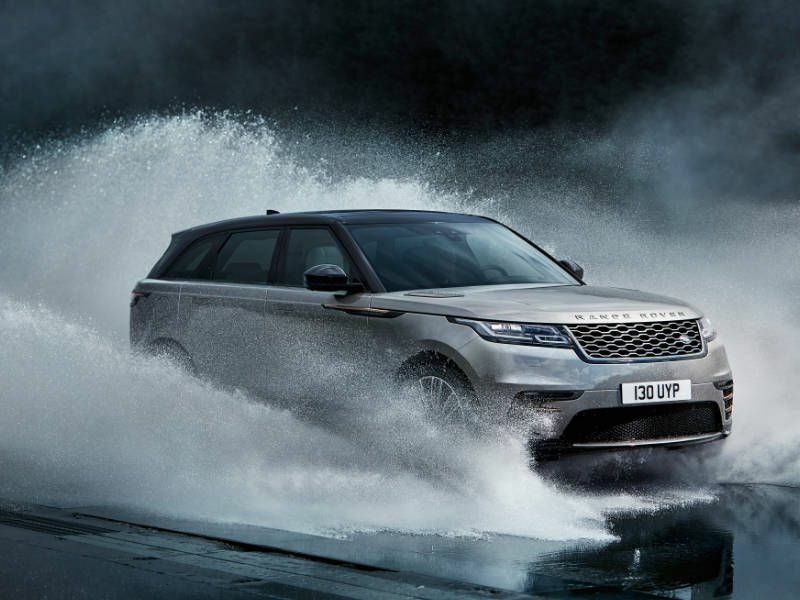 Today, Range Rover represents an entire family of models, including the compact Evoque, crop-topped Range Rover Sport and full-size Range Rover. 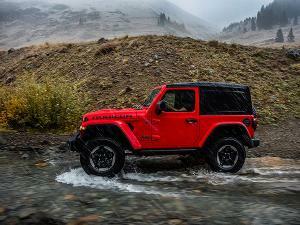 Each vehicle offers a unique combination of tremendous off-road capability and interior refinement. In this regard, the 2018 Land Rover Range Rover Velar is no different. By every other measure, the all-new Velar redefines the Land Rover brand. To properly test the newest addition to the Range Rover family, Autobytel traversed hundreds of miles on Norway’s diverse terrain. Here’s what we learned about the 2018 Velar. 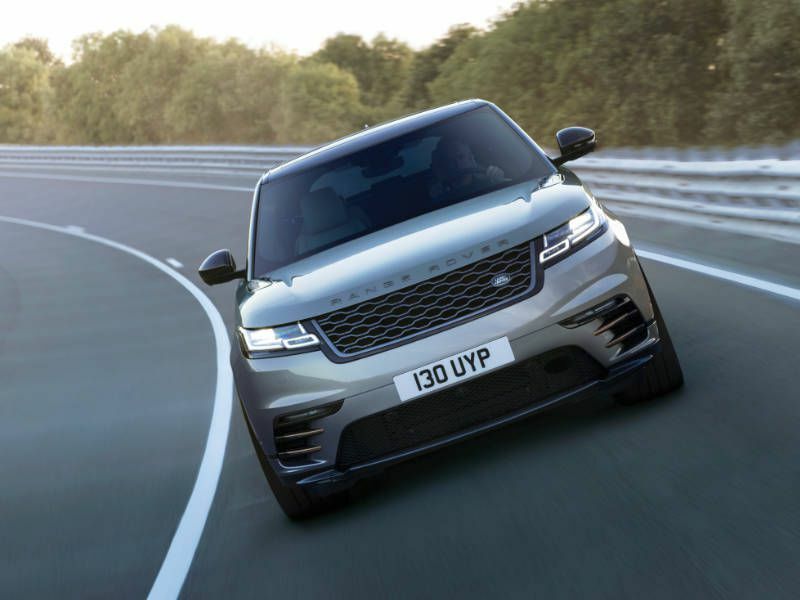 Land Rover has never used the Velar nameplate on a production vehicle. Within the Range Rover fold, the new 2018 Velar slots between the Evoque and Range Rover Sport. Land Rover calls this its first midsize SUV, despite it being about the same length as the Range Rover Sport. Riding on an all-new platform shared with the Jaguar F-PACE crossover, the Velar boasts innovative convenience features, a fresh exterior design and a new philosophy for the interaction between tech and luxury. It takes no more than a passing glance to understand that the Velar is unlike any other Land Rover product. 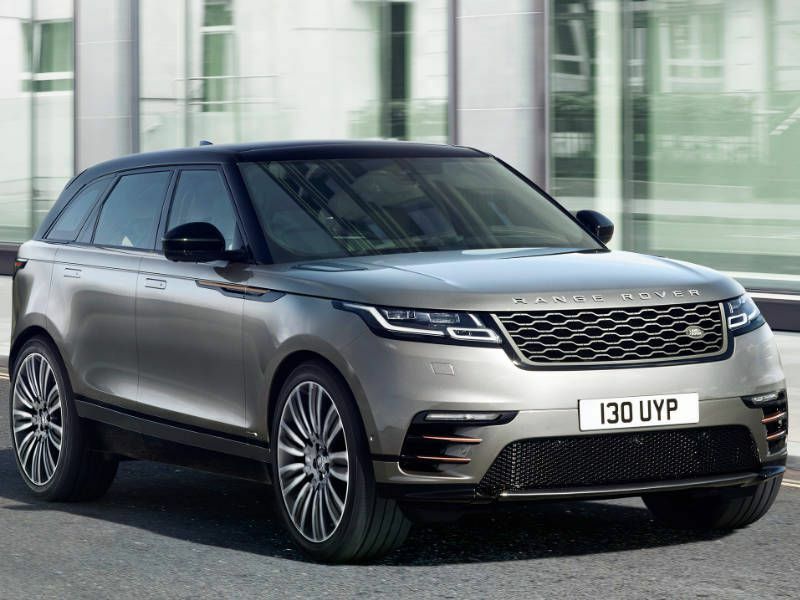 Certainly, Range Rovers — especially the Evoque and Range Rover Sport — are handsome vehicles, but the Velar transcends mere attraction; this is a stunning automobile. At the front, the Velar is distinguished by a rounded snout, slender headlights (with available Matrix LED beams), and tall air inlets with horizontal slats. First Edition models (limited to 500 units) feature burnished bronze accents speckled along the exterior. By far the Velar’s most dashing angle is its profile. Opulent 22-inch wheels, blacked-out pillars, a long wheelbase and a wrap-around character line give the Velar a low, purposeful stance. At the rear, a roof-mounted spoiler sits above narrow LED taillights that are connected via a dark horizontal beam. 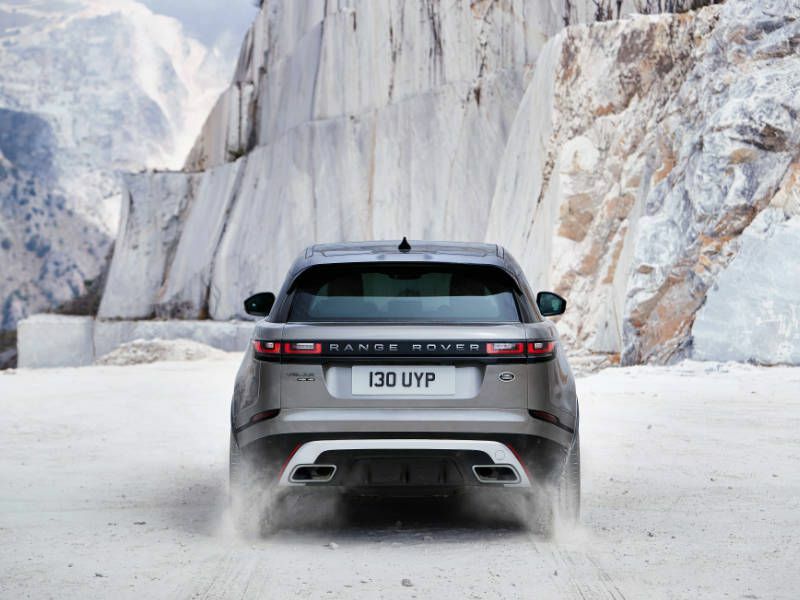 Below, a layered rump with integrated exhaust ports and a painted silver diffuser (similar to the Evoque’s rear fascia) contrasts the Velar’s otherwise sleek design. The Velar’s flowing physique also benefits aerodynamics, making this the most aero-efficient Range Rover ever built. Miss a beat and you could easily mistake the Velar’s cabin for a modern art gallery. 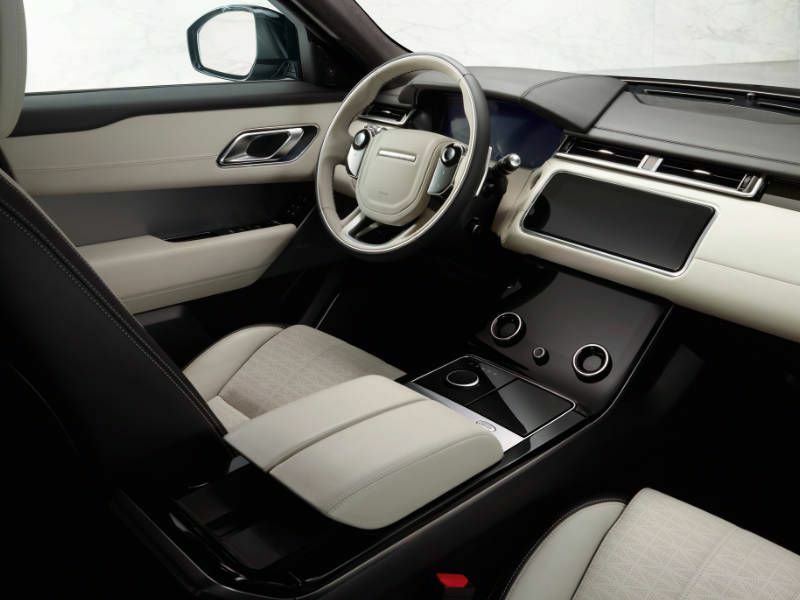 With its latest SUV, Land Rover’s interior design team embraces a minimalist philosophy. At rest, the cabin is a refined mix of soft leather, brushed metal, microfiber suede and piano black trim. With a tab of the starter button, the cockpit transforms into a high-tech control center. As rider comfort goes, the Velar features ergonomic seats made from leatherette and microfiber suede, full leather, or industry-first sustainable textile seating material by Kvadrat. The dashboard and door panel inserts are covered in leather or a new Cut Diamond pattern. Five passengers enjoy ample head and legroom, while split-folding rear seats in 40/20/40 configuration add versatility to a voluminous cabin. With the rear seats in place, the Velar offers 34.4 cubic ft. of cargo room; with seats stowed, there’s a full 70.7 inches of depth. To ease loading and unloading of passengers and cargo, the Velar’s air suspension can lower by 1.6 inches. Beauty and versatility have never worked in such concert. The 2018 Velar will be available globally with six powertrains, three of which are approved for U.S. models. 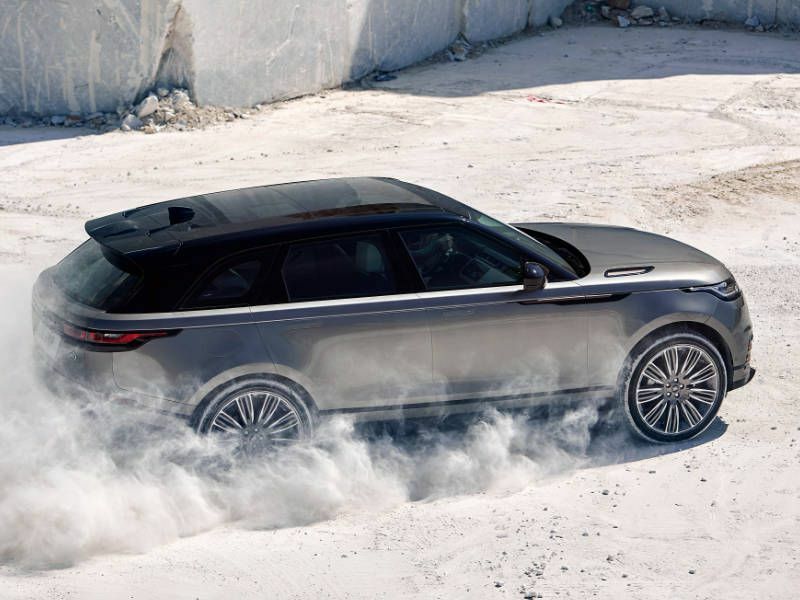 Base-spec Velars are powered by a new Ingenium 2.0-liter turbocharged four-cylinder engine rated at 247 horsepower and 269 lb-ft of torque. 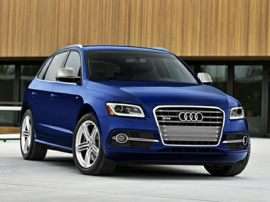 For additional coin, a 2.0-liter diesel four-cylinder is available with 180 hp and 317 lb-ft of torque. 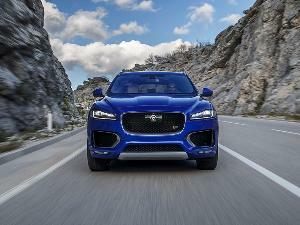 At the top of the range is a 3.0-liter supercharged V6 (ported from the Jaguar F-TYPE S and F-Pace 35t) making 380 hp and 332 lb-ft of torque. 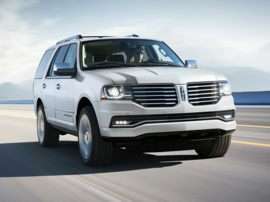 An eight-speed automatic and all-wheel drive are standard equipment regardless of engine choice. None of the Velar powertrains can be considered slow, but the supercharged V6 is genuinely quick. 0-60 mph takes a mere 5.3 seconds and top speed is limited to 155 mph. At a moment’s notice, the Velar’s 4,100-pound body surges into action, its engine smoothly doling out power to the driver’s satisfaction. The EPA's mixed-driving estimates for the Velar are 20 mpg with the V6, 23 mpg with the base four-cylinder and 28 mpg with the thrifty diesel. It would be incorrect to say the Velar is the first Land Rover to master corners; the Range Rover Sport SVR takes that honor. However, the Velar proves its on-road and off-road performance to be similarly exciting — for far less money than its $111,000 stablemate. The keys to the Velar’s dual personality are its Terrain Response 2 system, Adaptive Dynamics suspension and aluminum-intensive chassis (shared with the Jaguar F-PACE). With three on-road drive modes, including a Dynamic setting for maximum performance, the Velar is a sure-footed SUV at just about any pace. 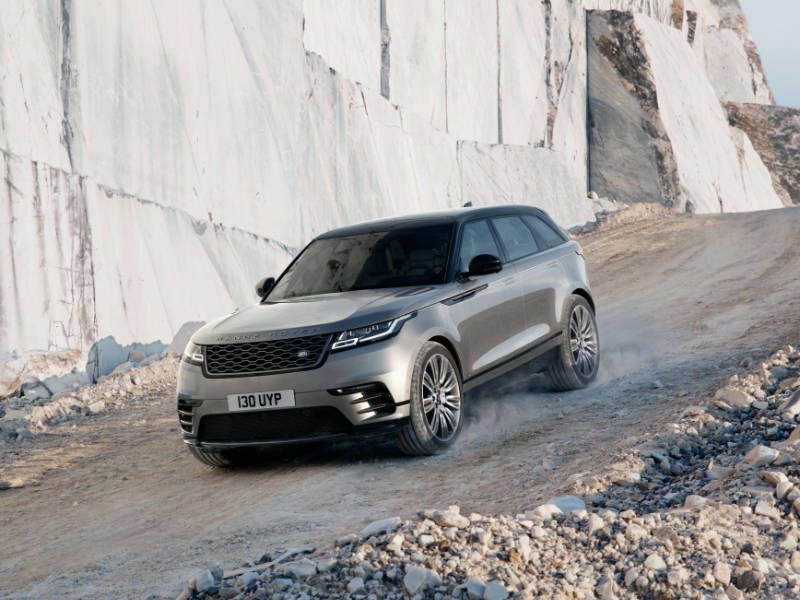 When the paved road ends, the Velar gladly proves its birthright with sophisticated traction management modes, air suspension, All Terrain Progress Control, hill-descent control and a locking differential. Piloting a crossover with 22-inch wheels and low-profile tires up the side of a gravel-strewn mountain is the fantasia of Land Rover engineering, and the world is better for it. Beyond the reductionist approach to cabin design, the premise of the Velar’s interior gadgetry is that technology can be convenient rather than confusing. In many ways, Land Rover pulls off its goal. Every Velar comes standard with a pair of 10-inch high-definition center displays. The upper monitor tilts forward from its flush-to-dash position to reveal a beautiful array of intuitive menus while the fixed bottom display shows even more impressive visuals that change as the content does. While the upper screen is purely touch functional, the bottom monitor can be controlled with both touch inputs and a pair of “magic” dials. There's also an available 12.3-inch digital driver display that can replace the gauge cluster's pair of analog dials and smaller digital monitor. Navigation, media and other information is shared or split among all three monitors, and some essential readouts (like speed and turn-by-turn directions) appear on the hovering head-up display. 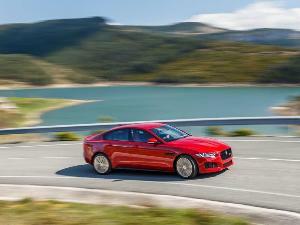 It all takes a bit of getting used to, and we never quite adapted to the adjusting steering wheel controls, but most controls are intuitive, customizable and smartly adaptive. The 2018 Velar also comes standard with automatic emergency braking, lane departure warning, and rear parking sensors. Upgradable driving aids include adaptive cruise control with queue assist, driver condition monitor, lane keeping assist and traffic sign recognition with an adaptive speed limiter. The 2018 Velar is priced from $49,900 and includes features like standard all-wheel drive, Terrain Response, LED headlights, InControl Touch Pro Duo infotainment, coilover springs, 18-inch alloy wheels, SuedeCloth and Luxtec seating surfaces, dual-zone automatic climate control, four USB ports, a Wi-Fi hotspot and the aforementioned driver aids. Diesel-equipped Velar models start at $56,200 and supercharged V6 versions check in at $64,200. 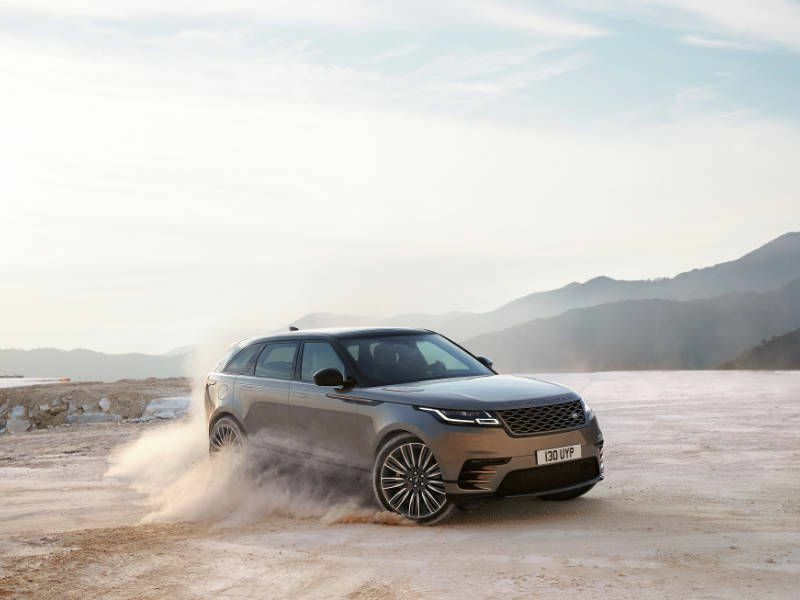 Amid each engine breakdown are three tiers: Velar S, Velar R-Dynamic SE, and Velar R-Dynamic HSE, each with additional layers of styling and convenience features. The range-topping V6 versions are also available as SE and First Edition trims. For greater complication, Premium and Black Edition exterior trims are available, and an $89,300 First Edition with unique styling details is available only during the Velar's first model year. 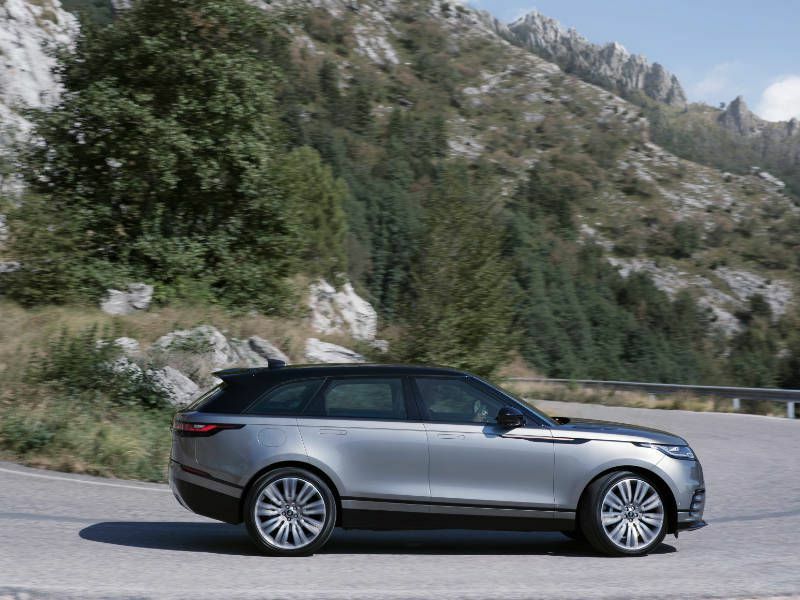 Though Land Rover calls the Velar a midsize SUV — a claim supported by the vehicle’s 189-inch length — it will compete more directly with compact premium offerings. Porsche’s Macan, Mercedes-Benz’s GLC Coupe, and Audi’s Q5 and SQ5 oppose the Velar’s conquest. On paper, pricing and performance favor the Velar’s rivals. From least to most expensive, the Q5 kicks things off at $42,275, followed by the GLC Coupe at $45,950, then the Macan at $47,500, and finally the Velar at $49,900. Though we expect a hotter SVR version of the Velar is in the works, the most potent version today is the slowest among its rivals to 60 mph, trailing the SQ5, Macan Turbo and Mercedes-AMG GLC43. If you can look past its high starting figure, the Velar fares quite well. Interior volume, design, technology and off-road capability are categorical wins for the new Range Rover. 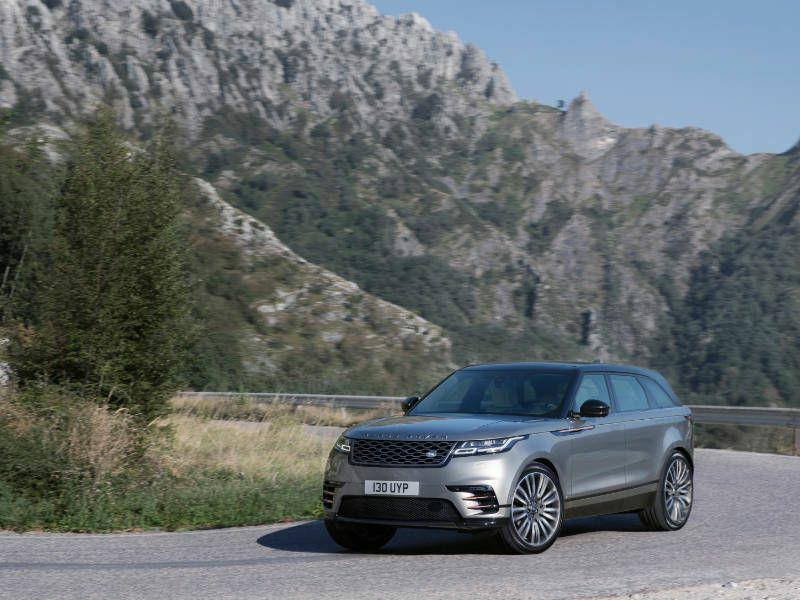 When loaded with similar equipment, the Velar also closes the price gap. The 2018 Range Rover Velar is a triumph for the Land Rover brand. 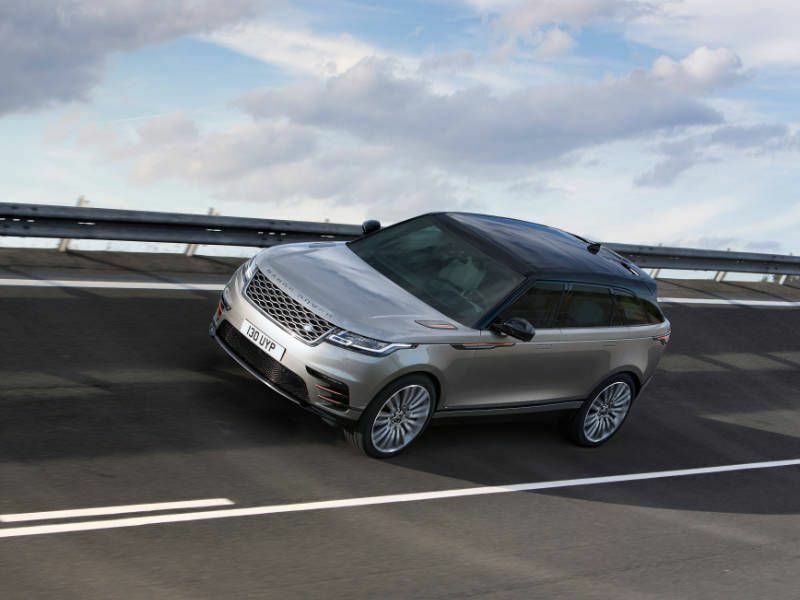 Without forfeiting an ounce of traditional off-road capability, the Velar pioneers advanced technology and striking design that will attract a whole new audience to Land Rover showrooms.